The photograph converted to painting and filtered with Nik color efex. Thank you both. I did a camera walk yesterday afternoon with the intention of getting some small birds in flight shots which I find a real challenge. 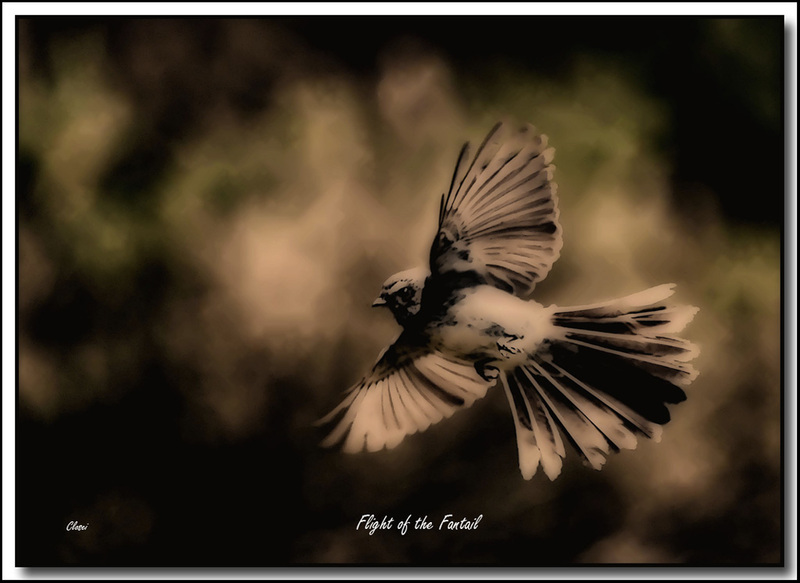 I pretty much nailed the composition of this little Grey Fantail following a successful shot of a Raven in flight just prior, however I omitted to up the shutter speed from 1/1000 for the raven to 1/2500 for the tiny faster one. The result was not as sharp as I would have liked! I loved the look of the image in other ways, so I thought it worth salvaging and making it an art shot instead.